This Saturday April 22, 2017 is an auspicious date for FatC: it will be my third annual birthday bash at Relish Bar and Grill, the crucible of this little adventure in musciland. Ongoing gratitude goes out to Mary Stewart and Johanne Clayton who both took a chance on me, even despite occasional less-than-stellar open mic appearances. Shoehorned onto that event will be the first official celebration of my imminent retirement from the DAY JOB©, which I have decided to stretch out until the actual date occurs at then end of June. NeMo and I have decided to make this special and different, so it will be worth your while to come — hint: the picture is misleading. Please arrive early as the place is busy with the dinner crowd; in fact, best is to reserve for dinner. Entertainment this week until we get on at 9:30 will be provided by singer/songwriter The Voyageur. Make of it an evening: great food and TWO performing acts! 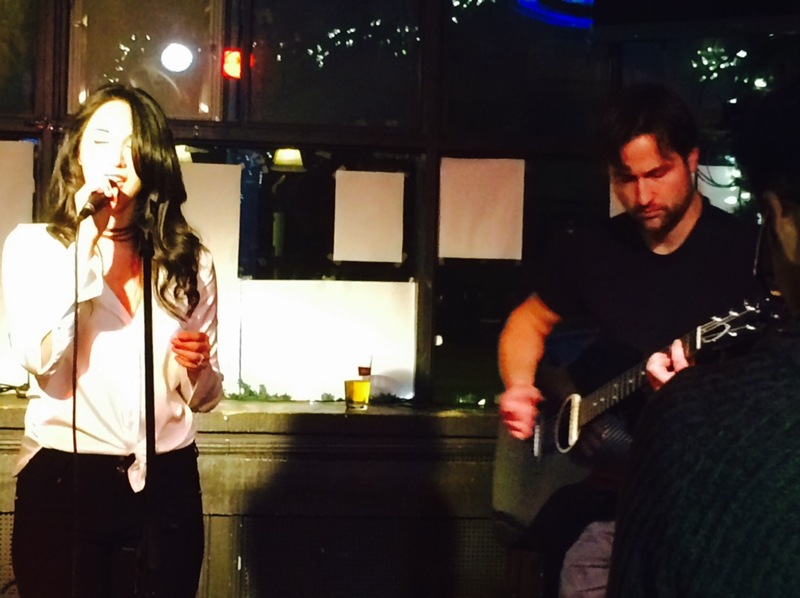 If you have a chance to get out on the town earlier in the next week, work friend and fellow traveller Leanna Yamada is at the Amsterdam Bicycle Club this Thursday, April 20, 2017 at 10 PM. I’ll see you there! Some have asked me what is next after retirement. The answer to that will be the subject of a future blog. Until then, be well! Those of you who are regular readers and know me personally will connect the dots. For the rest, I will do my best to talk about this song without going into the uncomfortable area of others’ privacy. The song I have selected to feature is fairly recent: The Final Winter. It is not a post-nuclear apocalyptic tale but rather the story of a man who for a long time has escaped to sunnier places, and finally comes to the conflicted and reluctant realization that life has caught up with him. It is stylistically different and a respectful attempt to indulge myself in being blatantly influenced as best I can by the flavour and feel of Crowded House, a band whose music I love. Since I will be doing some less electric shows in the near future, there is a good chance you may hear it performed live. So why do you try to burst my bubble? 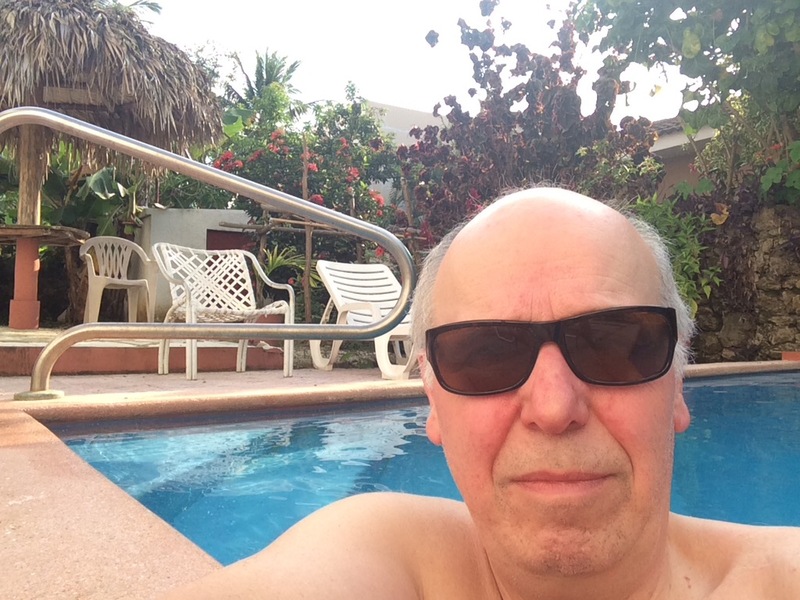 This week’s blog is coming to you from the hot and sunny Dominican Republic. I wish I could say it will be about some hot band I saw performing here, but alas, the reason for me being here are less entertaining, and much more personal. So instead, let me tell you about last Tuesday at the Linsmore (in context, it feels very weird writing this). The evening had the customary three acts. First up was Richard Charles Moulaison whose powerful voice occasionally verged into Joe Cocker territory. Good territory! Then came Marinol Nation, or a chunk of it anyway, who had traveled from Sarnia for this show. Great lyrics; Two Snakes and Should Have Been Dead stood out for me and exemplified their raconteur approach to writing. Finally, and the main reason I was there was singer Leanna Yamada, accompanied my Chuck Majic on the guitar. Leanna is a work friend (Tyler Ellis‘ has an great song on that subject with his own twist on it). She began working at my school this past September. I will not be appropriate to do a performance appraisal here and now, but it’s safe to say the kids and parents really like her. I have seen Leanna and Chuck perform before, and vice versa, so it’s easy for us to share contacts for gigs, update each other on when we are next performing and sound each other out on various musically related topics. Last Tuesday was the best I have seen and heard. The focus was there, the energy was up, and the confidence and coordination much more palpable. It was great to see Leanna play guitar for a song as this gave Chuck more room to improvise for his solos. I hope to see more of that. I am told that Chuck and Leanna met at university and struck up a musical friendship from a common desire to write and perform their own compositions. I’d say it has worked well so far, and even better is to come. Here is a bit of a song to give you some idea. Before signing off, thanks again to Sam Taylor for a vocal intervention house call this past week. I’m hoping to put some extra focus and effort into that aspect of the performance. These things take time, so please don’t expect miracles overnight, but I am trying. Until next week, I am off to the pool. Be well!